It is always a predicament to choose between Plasma and LCD. Generally both the Plasma and LCD have inherent strengths and weaknesses. 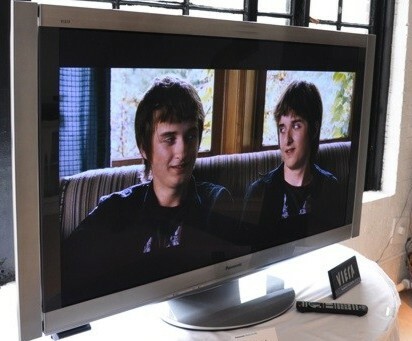 Plasma features better display quality whereas LCD is more cost effective. In view of the fact that the current consumer market is mainly driven by the cost factor, many manufacturers have substantially shied away from the Plasma market. Having said that, Panasonic is delightfully showing off its Plasma 54Z1 officially with its attractive price tag. Of course the Panasonic Plasma 54Z1 comes with some special features that encourage Panasonic to be so upbeat while everybody is pulling out of the Plasma business. This Plasma 54Z1 model features a wireless HD receiver box which supports direct TV services. It comes with an RF remote unit which allows users to remotely control the display without having to point directly at the receiver. Users can change channels from other rooms, fast-forward through walls and adjust volume through the floor. Of course the image and sound quality are superb and satisfactory. The last thing is of course whether $6,000 is value for money to get this ultra slim device for your home.